Following a proposal for a 70 percent tax on the rich by Rep. Alexandria Ocasio-Cortez (D-N.Y.), Ilhan Omar, a freshman Congresswoman from Minnesota, suggested that wealthy Americans should pay as much as 80 percent in taxes. 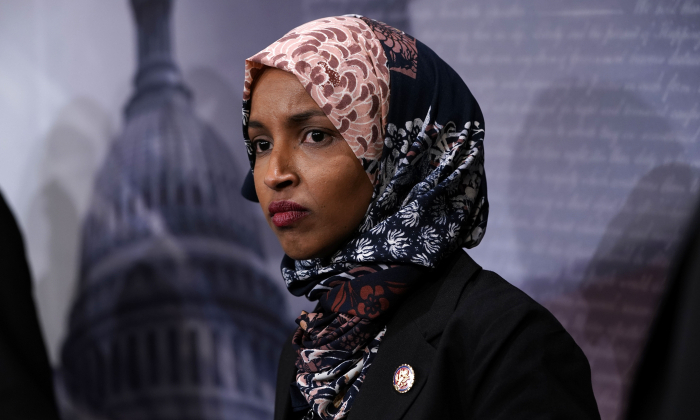 Omar suggested the massive tax increase as a way to pay for socialist proposals like the Green New Deal and Medicare for All. Ocasio-Cortez and Omar are among a group of far-left Democrats pushing for the two proposals, which, if implemented, would have the government take near-total control of America’s healthcare and energy industries. “The one percent must pay their fair share,” Omar added. Omar also said that the military budget can be slimmed to fund the Green New Deal and Medicare for All. The Green New Deal is backed by America’s largest Marxist organization, the Democratic Socialists of America. The proposal calls for eliminating all carbon emissions in 12 years. Democratic presidential contender Sen. Kamala Harris (D-Calif.) expressed support for both Medicare for all and the Green New Deal during a CNN town hall on Jan. 28. In contrast to Constitutional rights, which are ensured by putting restraints on the government, quality health care, as it is now, requires a large industry—worth nearly $3.7 trillion in 2018—in which people participate voluntarily and expect compensation. Medicare for all has been estimated to cost over $32 trillion and would require more than doubling federal income and corporate tax revenues. The Green New Deal, by one estimate, would cost $49 trillion in the first ten years. 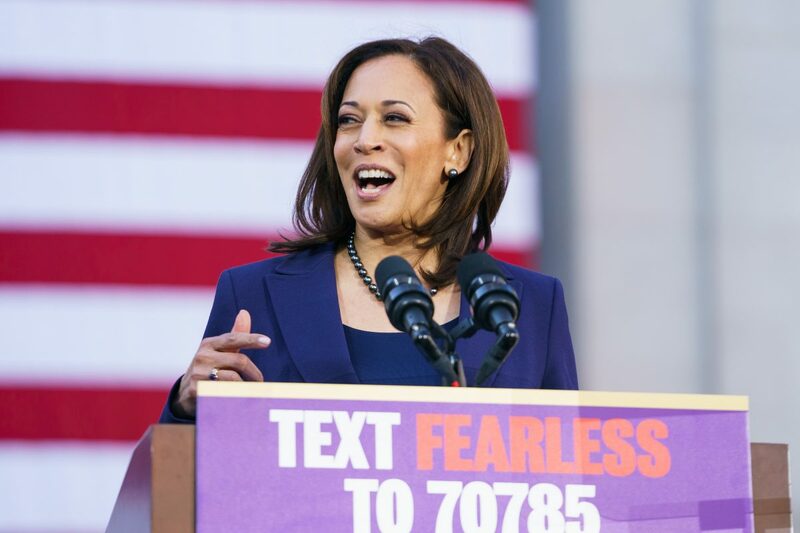 Harris’s plan, as she has acknowledged, would eliminate the health insurance industry as we know it. The Green New Deal proposal acknowledges that the cost of such a program would be astronomical. “Even if all the billionaires and companies came together, and were willing to pour all the resources at their disposal into this investment, the aggregate value of the investments they could make would not be sufficient,” the proposal states. The proposal instead calls on the Federal Reserve bank to issue new credit to fund the massive project. However a government decides to fund such a program, it would ultimately be taxpayers footing the bill, either to repay the credit or to cover the losses if the proposed state-run megaprojects run into trouble, as they historically have (pdf). The federal government already owes nearly $22 trillion and is projected to be increasingly squeezed by interest payments. In 2018, it paid $325 billion in interest and that number will reach $460 billion in 2020—surpassing Medicaid spending—and $724 billion in 2025—surpassing defense spending—according to estimates by the Congressional Budget Office. 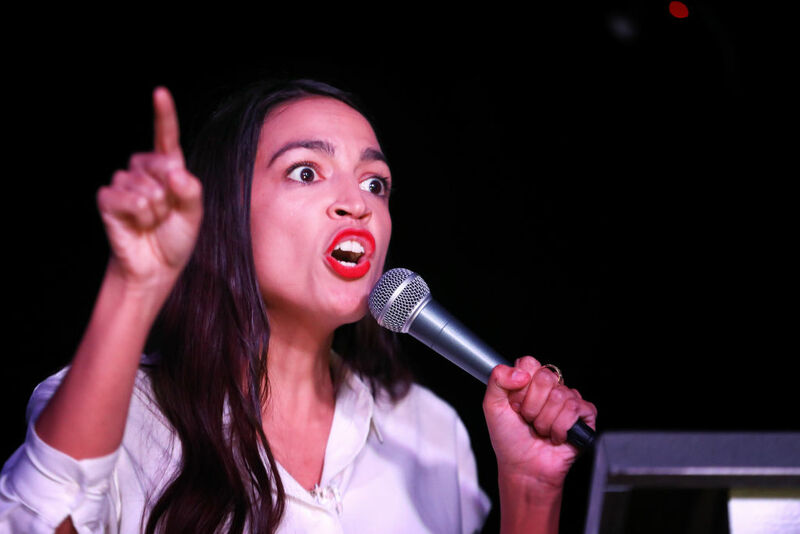 Ocasio-Cortez proposes taxing income above $10 million at 70 percent, which would theoretically raise $720 billion over 10 years, The Washington Post reported. But people would likely change their behavior accordingly to avoid taxes using a plethora of tricks, such as switching salary for stocks, moving overseas, or finding ways to pass on their income to spouses and children. For those making over $10 million, wages and salaries already comprise only 15 percent of their income, CNBC reported in 2015. Eliminating tax shelters, in turn, would crack down on abusers but also penalize those using such measures for legitimate purposes.